Like every other hero movie in the works a toy line will never be too far away but with the case of X-Men: First Class we seem to have more collectibles rather than actual mainstream toys. 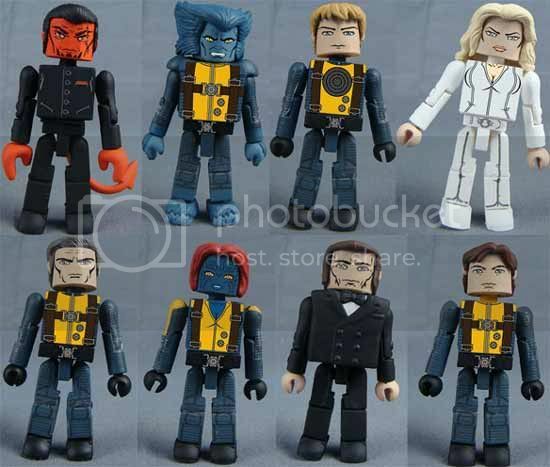 The image you see above is a look at Art Asylum's take on X-Men: First Class' characters. I'm sure most of you aren't excited about these figures and to be honest I feel the same way but I'm pretty sure some rich geek out there would love to get his hands on these minimates just so he can complete his collection. Far as I can tell they're not yet available to order but it's only a matter of time now.